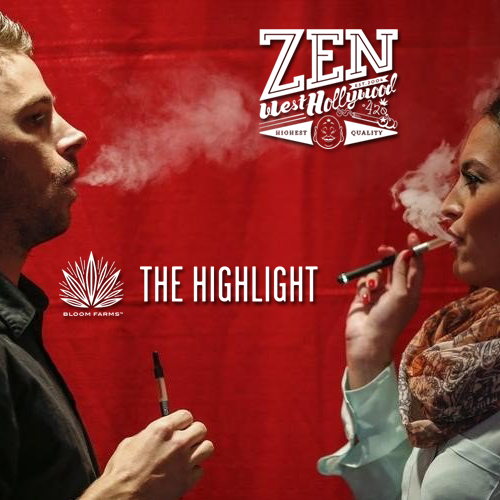 Posted November 12th, 2017 / filed under Vape Mondays, Zen West Hollywood Bloom Farms, Zen West Hollywood. Zen Healing also known as Zen West Hollywood presents Bloom Farms who’s mission is to bring safe and enjoyable medicine to patients who use medical cannabis as part of a healthy, fulfilling lifestyle. Along the way, we’re out to remove the negative social stigmas of cannabis. Sustainably farmed and responsibly made, our products are beautifully designed around our mantra: relaxation, relief, creativity and fun. At Bloom Farms, we believe in living life to its fullest. We’re here to bring a healthy perspective to life with cannabis.